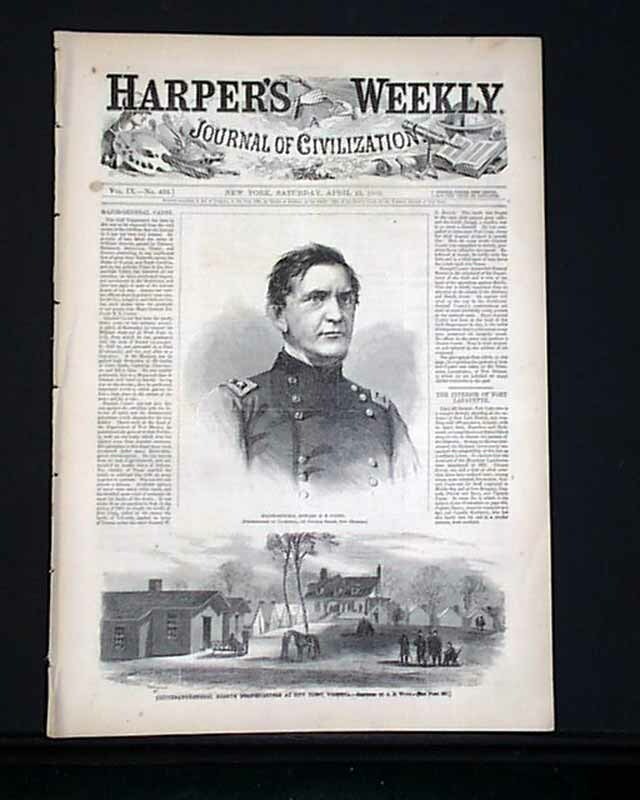 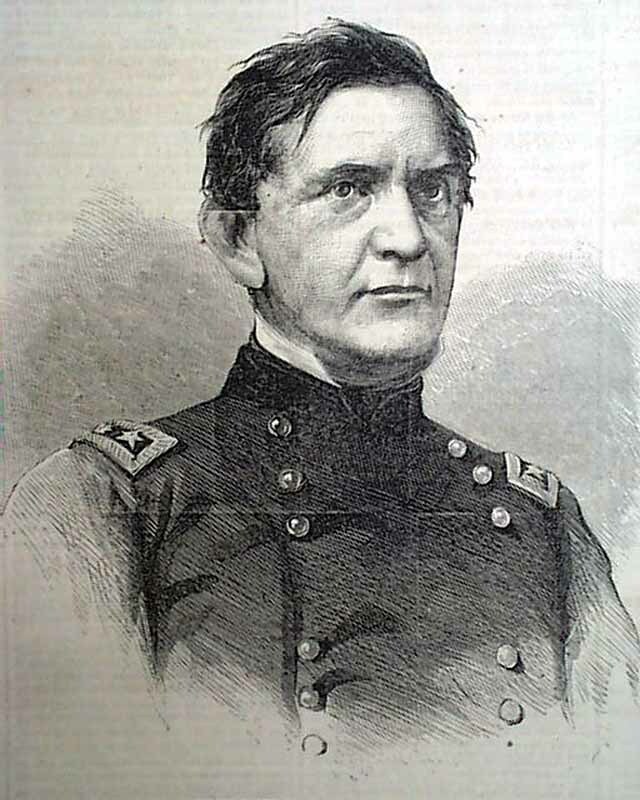 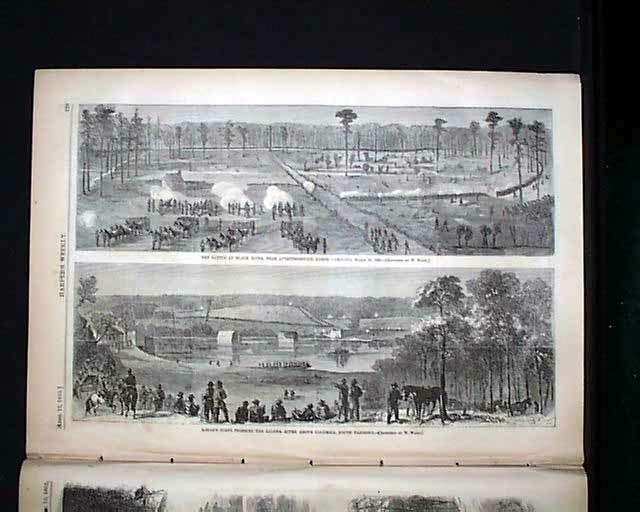 The front page shows: 'Major-General Edward R. S. Canby" and "Lieutenant-General Grant's Headwaters at City Point, Virginia". 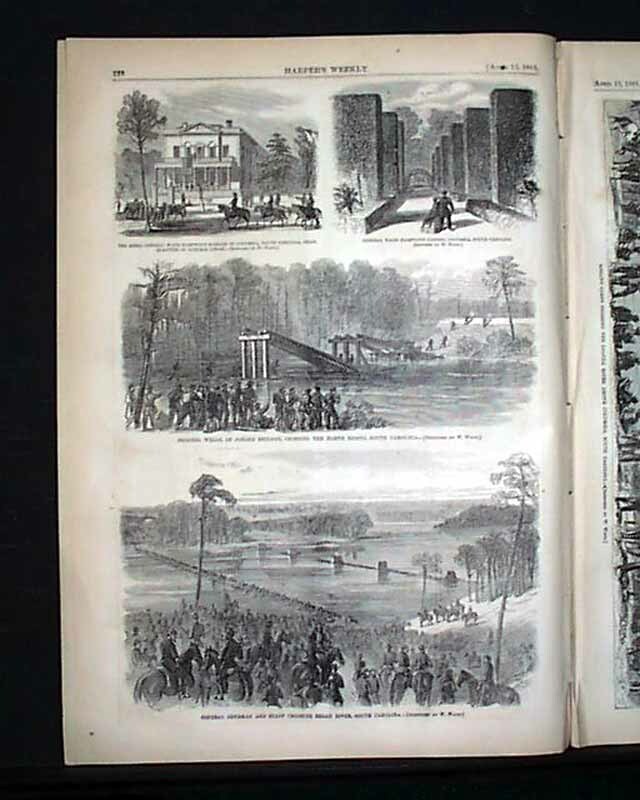 Other prints inside include: "The Rebel General Wade Hampton's Mansion in Columbia, South Carolina, Hqts. 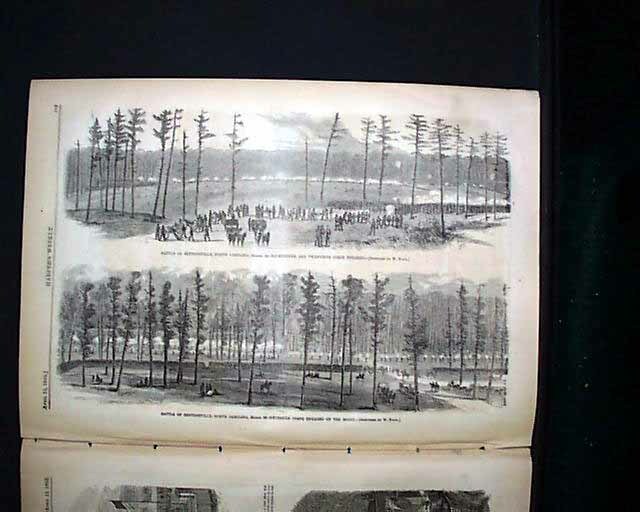 of General Logan" "General Wade Hampton's Garden..." "Colonel Wells, or Jones's Brigade, Crossing the North Edisto, South Carolina" "General Sherman & Staff Crossing Broad River, South Carolina" "The Battle at Black River, Near Averysborough, North Carolina "Logan's Corps Crossing the Saluda River Above Columbia...". 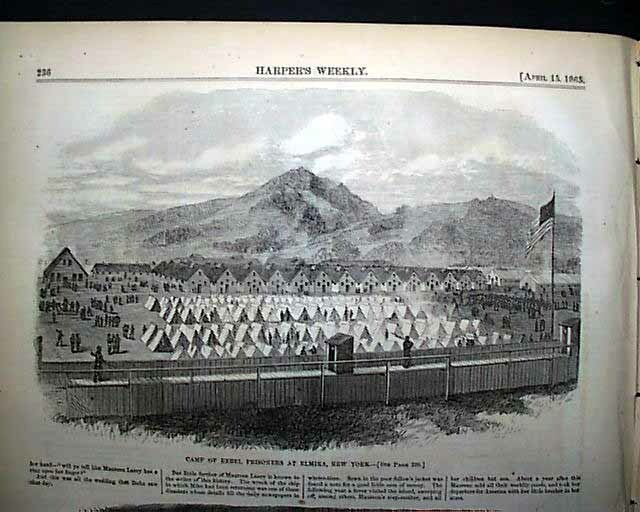 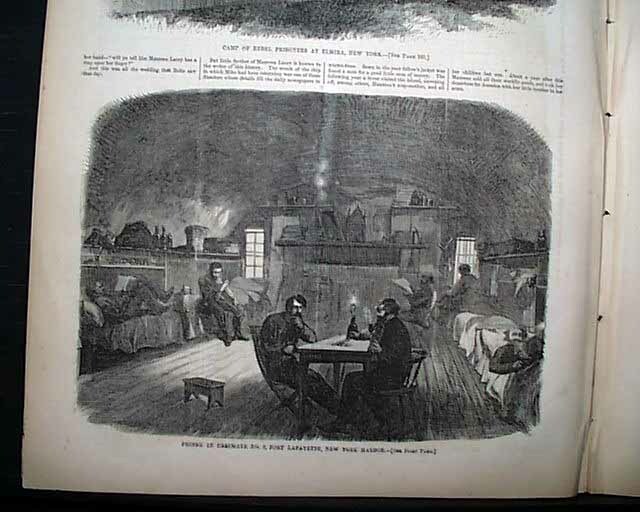 "Camp of Rebel Prisoners at Elmira, New York" "Prison in Casemate No. 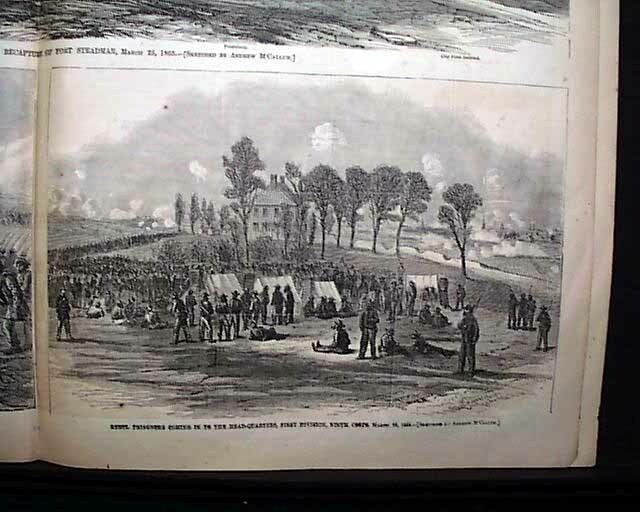 2, Fort Lafayette, New York Harbor" "Battle of Bentonsville, North Carolina...". 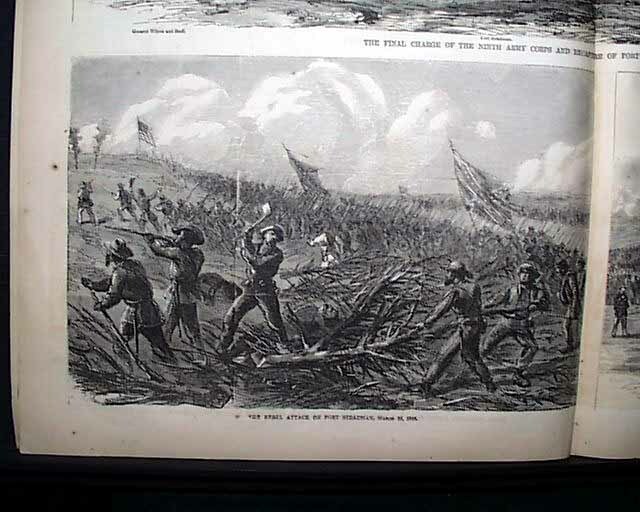 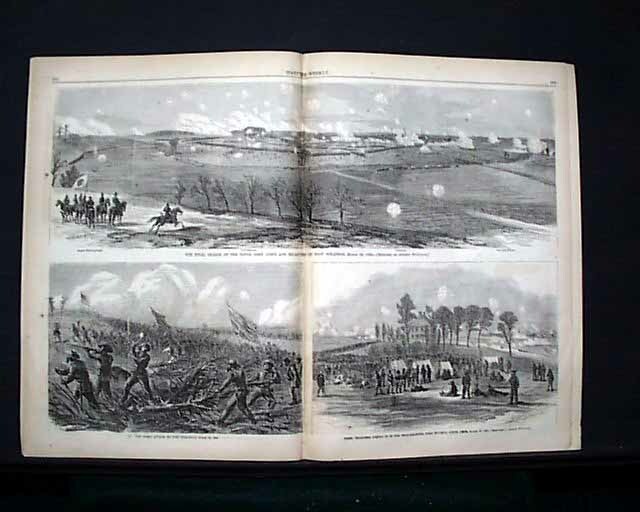 The doublepage centerfold has 3 prints: "The Final Charge of the Ninth Army Corps & Recapture of Fort Steadman" "The Rebel Attack on Fort Steadman" and "Rebel Prisoners Coming In To the Headquarters, First Division, Ninth Corps." 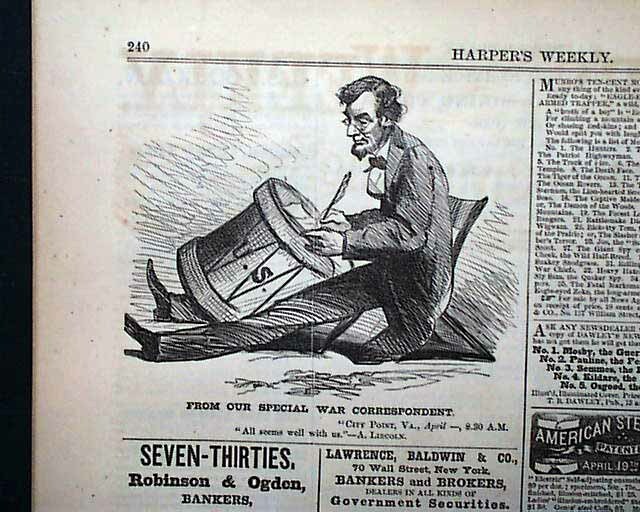 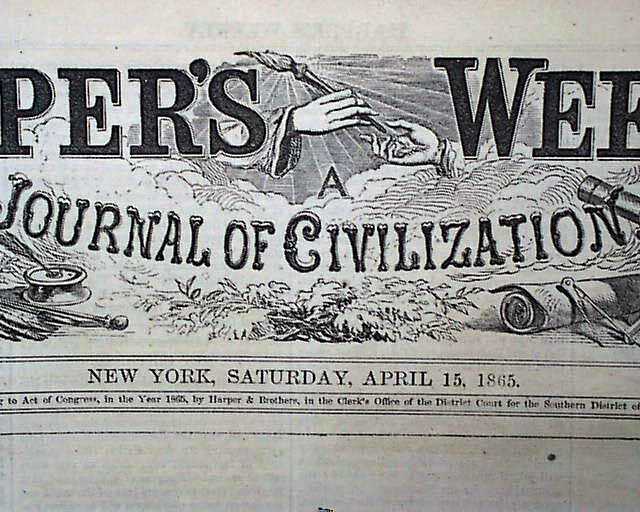 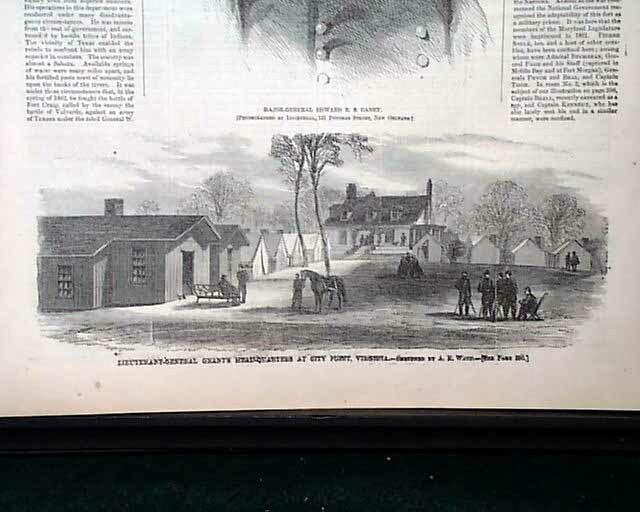 The back page has a political cartoon showing Lincoln which ironically has the caption: "From Our Special War Correspondent" "'City Point, VA., April --, 8:30 A.M. All seems well with us' - A. Lincoln".